The principle motivation behind this project is the need to raise awareness about alternative approaches to the economy, society and life in general. One of these alternative approaches is social entrepreneurship which combines the issues of social responsibility, inclusion, awareness, active citizenship, fair trade etc. with a business model which creates special market conditions in which social entrepreneurship may and may not be in an inferior position compared to regular businesses, all depending on the level of awareness of the consumers. The social mission which separates social entrepreneurship from normal entrepreneurship represents an extremely potent method for social inclusion, a general tool which can be translated to other private and public ventures if given chance. That’s why through this project we explored the theoretical background of business models, funding methods, community outreach, case studies, success stories and concrete local examples of social entrepreneurship and its aspect of social inclusion. The participants received ample theoretical input from professional trainers and social business managers which enabled them to brainstorm and creatively imagine ideas for future social entrepreneurships which they might one day conduct. Through this process we compiled a booklet which summarizes the competences, methodology and knowledge generated and used throughout the training course which will serve as a tool and guidebook to future social entrepreneurs and civil sector organizations that seek to create projects of their own about similar topics and to educate potential entrepreneurs. This was achieved through a combination of non formal and formal education methods undertaken by professional staff during 8 days in Mirkovci, near Zagreb, Croatia which was chosen for the venue since it is located in a degrading rural area which could benefit allot from social entrepreneurship but also because it is nearby successful examples of Croatian social entrepreneurship companies which all owed us to take the participants for a tour of an actual business where they interacted with the employees and learned first hand what it means to be an social entrepreneurship, it was the crown to the previous days of theoretical work. The results of the project are disseminated on social media platforms and websites. The entire outcome will serve as a basis for future cooperation among participants who will find potential future partners working in the same field of interest. It is said that a picture is worth a thousand words, the validity of that claim we wont test but that there is some truth to it is undoubted. A good picture can transfer the emotion of the moment and the message much better than a word can and that is why to reinforce our message and make it more understandable and sympathetic we employed photo and video methods during our project and dissemination activities. The photographs themselves are accompanied by encouragement lines which support the pictures message and make improve its impact on the viewer. The pictures have all been created, selected and edited by the participants with help from professional video and photo qualified trainer. Their message is meant for all to consume and digest with the intention that they raise awareness, promote responsibility and popularize social inclusion and social entrepreneurship within the society. The booklet itself is the central intellectual output of the training course. Its aim is to equip the reader with the tools needed to start working on the topic of Social Entrepreneurship with the local youth in their communities through providing example of sessions with a wide range of objectives and methods. The guiding principle that this booklet is based on are the principles of Non-formal education, more specifically its central tenet; participation through which the participants improve their learning process and increase the collective added value of the activity. The booklet and its content is always structured so that it firstly allows for theoretical input from professionals so that the participants may grasp the issue and gain a basic understanding before proceeding to the second part which is the practical application of the previously gained knowledge. These methods range from brainstorming, debates, simulations, case studies, round table discussions, group work, teambuilding etc. The intended users of this booklet are youth workers, youth leaders, trainers, educators, entrepreneurs etc. and in line with that the end target group is youth interested in (Social) Entrepreneurship, though no prior formal or other knowledge of the topic is necessary. To download booklet, materials for workshops and read more visit our web page of booklet ! The second visual method used to reinforce the learning process of the participants and the impact on the target groups and all other stakeholders was a video project. As was the case with the photograph project, the video has been conceived, filmed and edited by the participants with the aid of the trainers. It summarizes the project in a short video meant to allow other stakeholders a glimpse of the participant’s work, learning process, their results, hopes, new competences and, most importantly, the message this project is meant to transfer on the community; social inclusion, responsibility, common European values, multiculturalism and youth participation in an interesting 4 minute package. The project authors envisioned the learning process to be incomplete without the participants being given a chance to see in practice what social entrepreneurship means and what is its relation to social inclusion. 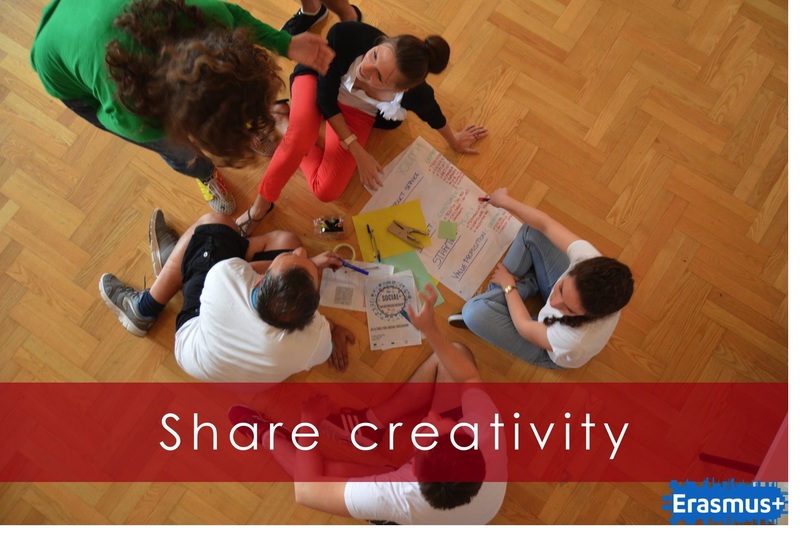 Therefore, we included in the project a tour of a local Croatian social entrepreneurship which employs people with fewer possibilities in its everyday work. The organization that was chosen was Humana Nova (geographic proximity, compatible social mission, successful example). The director of Humana Nova told the participants what it means to run such a business, what are the obstacles encountered, how to tackle them, suggestions and motivation etc. after which the participants had a chance to ask the manager questions through which they tested the competences acquired during the previous days. This visit was crowned with a guided tour of the facility and opportunity to interact with the employees and support Humana Nova through purchasing their goods, recycled textile merchandise. This visit was organized for one of the last days so that the participants might better organize their theoretical skills and temper them with the raw experience and input of the Humana Nova director before they engaged into their practical part of the training course, brainstorming and envisioning examples of social entrepreneurship with the social inclusion mission. The final stage of the project was the social event organized for the participants and locals during which the results of the project were exhibited in an appropriate ceremony which also included handing out youthpass certificates to the participants. This was the formal closing of the project which yielded many results which will hopefully be useful to the future work of the participants, partners and other stakeholders. Attending the social event were members of the local community and the venue staff which got a insight into Erasmus+ and its possibilities.